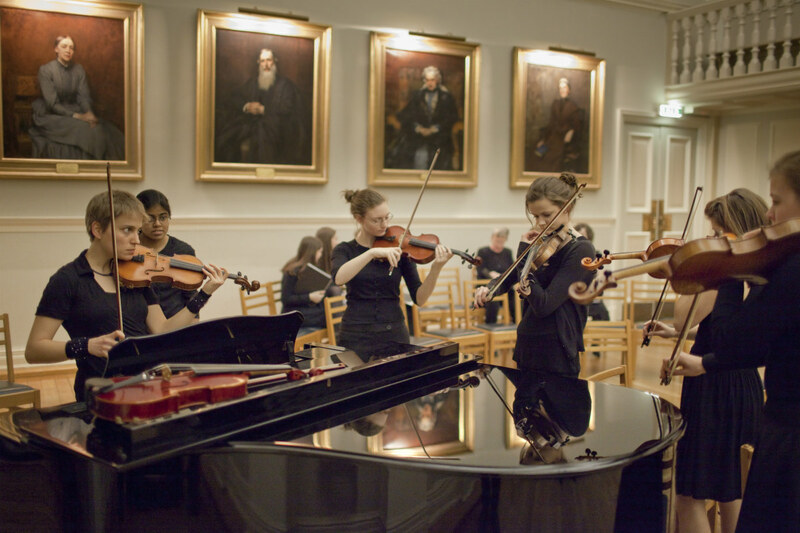 Newnham College’s ‘Raleigh Music Society’ puts on several concerts during term in College, in the Old Labs, which is ideal for musical and dramatic activities. Music facilities for students include practice rooms in Strachey, grand pianos (Boston 7-foot and a Bosendorfer concert grand in the Old Labs, a Steinway in the MCR and a Yamaha in Clough Hall), and a harpsichord in the Old Labs. 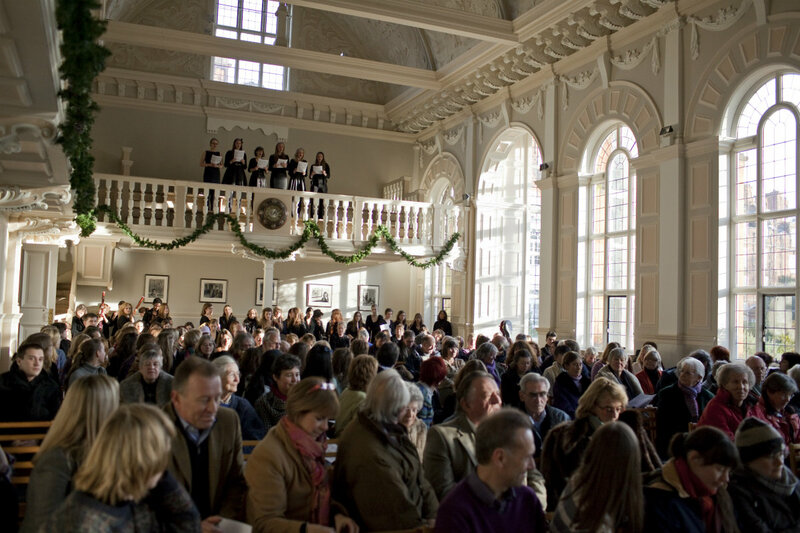 Newnham offers choral awards to undergraduate students to sing in Selwyn College Chapel Choir; there are generally about four awardholders at any one time. 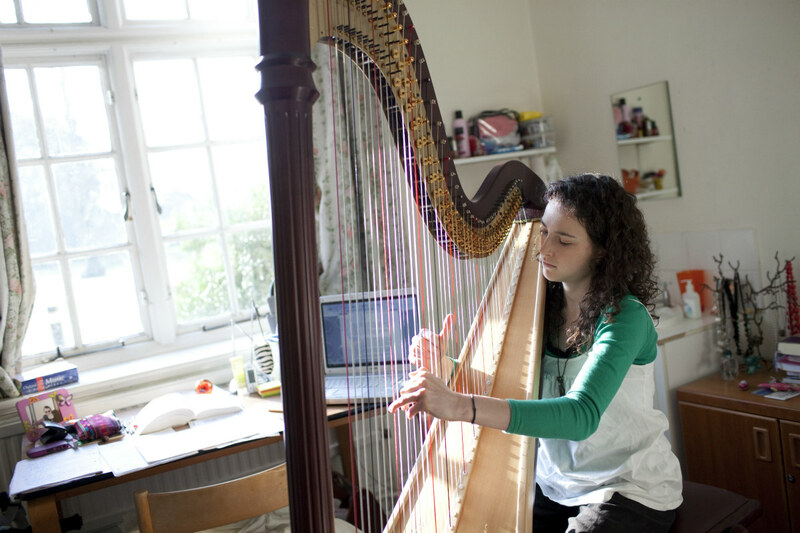 Newnham also offers its own vocal/instrumental awards, in addition to the University’s Instrumental Award Scheme (see below). Newnham’s Director of Music is Delphine Mordey. Delphine helps the Raleigh Music Society Committee members with their duties, hopes to foster different kinds of music-making in College, and provides a focal point and vision for musical activities in Newnham. She is also the person to ask if you have any questions about use of pianos, borrowing or hiring music, finding other players or singers, finding music teachers, applying for music awards, etc. Delphine is always happy to hear from College musicians, and from prospective students who want to know more about the musical life of the college. She can be contacted on dmm36@cam.ac.uk.  Application for Choral Awards (undergraduate students only) is through the University Choral Award scheme. Newnham College Choral Scholars join the mixed Chapel Choir of Selwyn College, across the road from Newnham. 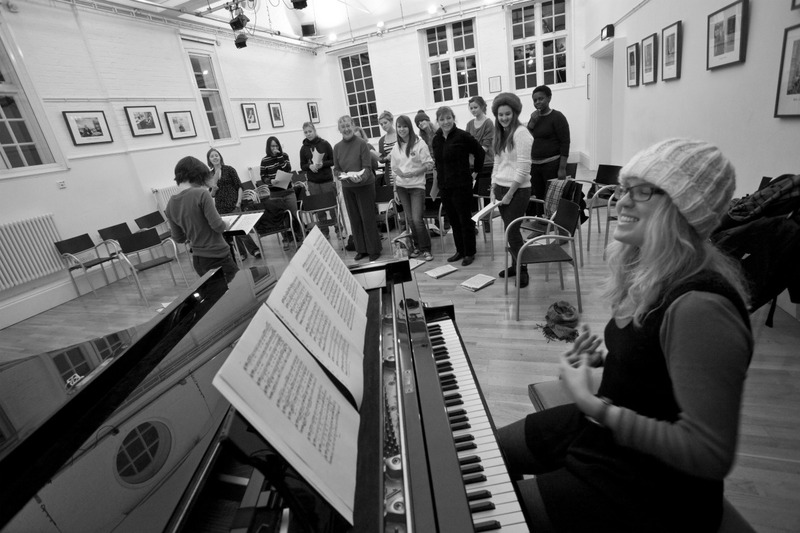 Newnham also has its own non-auditioning, student-run choir, which rehearses every week and performs in the end of term concerts. 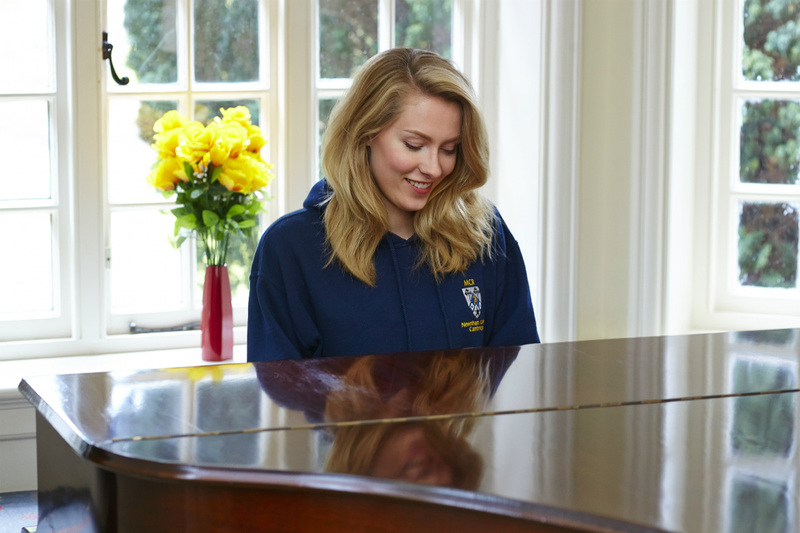 The choir welcomes all college staff and students – of all musical abilities – and is a great way to get involved in college music in a friendly and relaxed atmosphere. The choir has performed a wide variety of works for women’s voices, ranging from Britten’s Ceremony of Carols and Fauré’s Cantique de Jean Racine, to selections from Bernstein’s West Side Story, and Les Misérables. In addition to the choir, students are invited to audition for Voices of Newnham, the College a cappella group, which performs at all the college concerts, as well as at special events throughout the year. Recent repertoire has included Vaughan William’s Linden Lea, Imogen Heap’s Hide and Seek, Berlioz’s, ‘Shepherd’s Farewell’ from L’Enfance du Christ, and a James Bond medley! The non-auditioning college orchestra is open to all college musicians. Rehearsals take place in the week before the termly College Concert; recent works performed by the orchestra have included Fauré’s Pavane, Barber’s Adagio for Strings, Vaughan Williams’ Dives and Lazarus, Tchaikovsky’s Nutcracker Suite, selections from Dvorák’s Slavonic Dances, and Carl Davis’s music for the BBC series Pride and Prejudice. Music Organiser awards: Music Organisers, appointed each January for a calendar year, take responsibility for certain College musical events and for the general organisation and encouragement of music in the College. 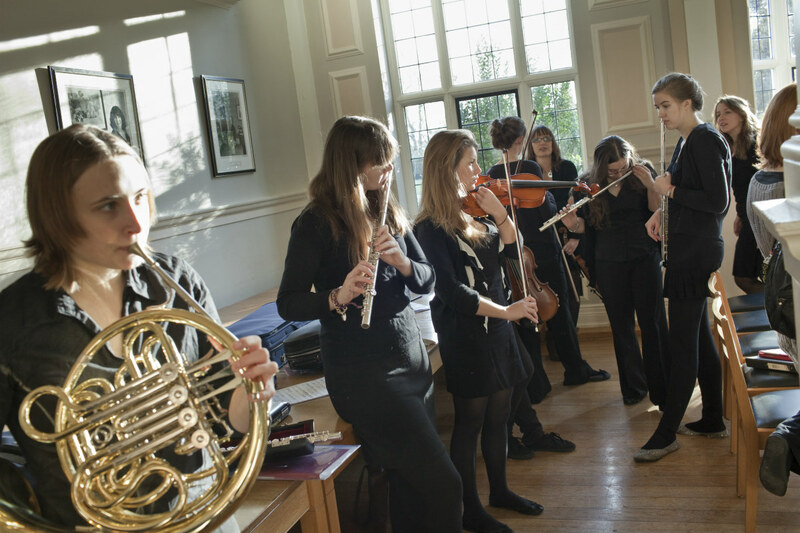 They are awarded £100 per year, with an additional sum towards music lessons if they do not hold University Instrumental Awards or a Newnham Choral Scholarship. Instrumental and vocal awards: these are awarded by audition during the Michaelmas Term each year, and are worth £80 towards music lessons. Holders are expected to play a full part in College musical life and to be prepared to perform in College concerts. University Instrumental Award-holders and Newnham Choral Scholars are not eligible for these college awards. 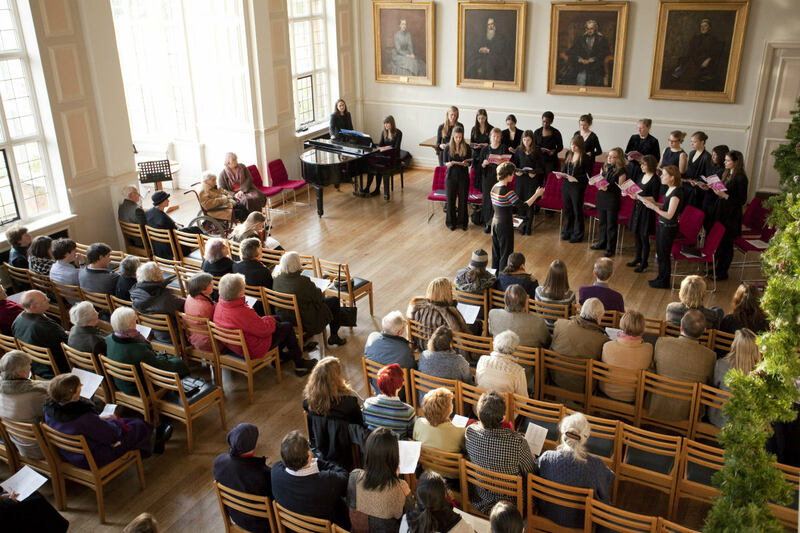 The Newnham Raleigh Society, founded in the very early days of the College, organises regular termly concerts, and also lunchtime concerts most Wednesdays in Full Term. For more information, please see our Facebook page and the Events section of this website. These are open to the public. 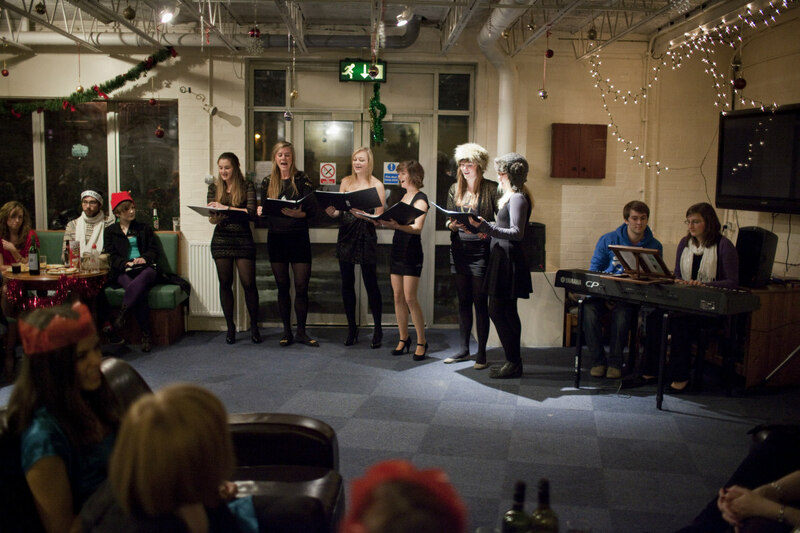 Other occasional musical events such as master classes are organised in the Old Labs: in recent years we have had master classes given by Neil Jenkins (tenor) and Roger Vignoles (piano accompanist), and several very successful intensive chamber music weeks organised by Monica Buckland, a professional conductor and graduate of the College.